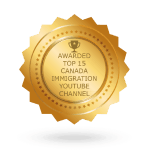 Are You Eligible For A Skilled Worker Immigrant Visa In Canada? Many of Canada’s skilled employees come from other countries and provide a consistent source of talent that Canada’s businesses need to succeed in a global marketplace. Immigration in Canada allows highly skilled individuals to become residents of the country and increase the strength of its economy. It provides a wide range of benefits that extend beyond the workforce. It helps develop a diverse culture that contributes to the well-being of the population. The following will help you understand the requirements and application process. There are various criteria that must be met in order to immigrate to Canada as a skilled worker. Immigration, Refugees and Citizenship Canada (IRCC) has established these criteria as a way to measure an individual’s qualifications to become a resident of Canada. If your application is approved, you will receive permanent residency through a Canadian Immigration Visa. The basic criteria require you to have previous experience in a high-demand occupation. This experience must be at least one year in duration on a full-time basis, or the equivalent in part-time employment. The Canadian National Occupational Classification (NOC) requires previous employment to fall under the categories of Skill Levels A, B or 0, and include occupations such as skilled trades, management positions, and technical positions. Individuals applying for a skilled worker immigrant visa must demonstrate a proficiency in the English or French languages. The advanced criteria consider such factors as education, language, arranged employment, and the ability to integrate into the Canadian population. Financial requirements must also be met to demonstrate the ability of you and your dependents to settle in Canada. Skilled workers have a number of options with which to obtain Canadian residency. These include the Federal Skilled Worker, Quebec Skilled Worker, and Provincial Nominee programs. Those who have work experience in Canada may also qualify under the Canadian Experience Class. The Federal Skilled Worker program is ideal for those individuals who plan to live in provinces outside of Quebec. Those planning to live in the province of Quebec can apply through the Quebec Skilled Worker Program. The Provincial Nominee Program (PNP) is specific to the province in which you plan to reside. This option may allow you to process your immigration faster than through the federal immigration programs. Currently, those who wish to apply under the Federal Skilled Worker Category must first enroll with the Express Entry system then wait to be invited before they can file their application. 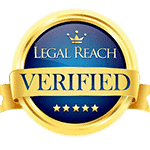 Once filed, the application will be assessed and approved once you have met the above criteria. Applicants must provide the proper documents when submitting their applications and make sure that all of the information is correct. Medical, criminal, and background checks must also be completed along with a language test to evaluate your proficiency. 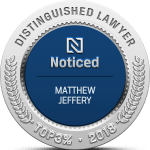 Any errors with your application can result in unwanted delays or denials. Having an experienced immigration professional at your side provides the resources you need to apply for your skilled worker immigrant visa and ensures that all the proper documents and information has been submitted. Skilled workers who are interested in living and working in Canada have a number of options available. Understanding and meeting the criteria required for approval is the first step in making the process easier.